Ask TOM "Recursive Function Calling in PL|SQL"
Hello, I have a function in pl/sql that simply returns a system parameter in the form of a varchar2. Is there any way to call this from my jasper report?... If there are no parameters to pass, you can simply call the function without the parentheses. To pass actual values, you can use commas as placeholders for parameters. 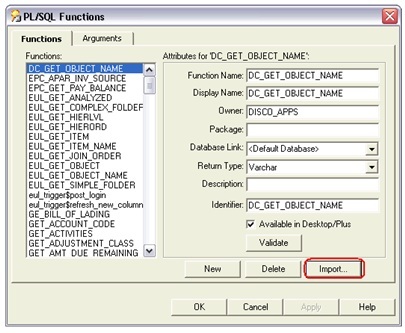 PL/SQL subprograms are named PL/SQL blocks that can be invoked with a set of parameters. PL/SQL provides two kinds of subprograms − PL/SQL provides two kinds of subprograms − Functions − These subprograms return a single value; mainly used to compute and return a value. Hello, I have a function in pl/sql that simply returns a system parameter in the form of a varchar2. Is there any way to call this from my jasper report? I am trying to figure out how to call the following procedure from a function using Oracle 11g 11.2.0.2.0. Does anyone have some ideas? : -- CREATES or REPLACES insert_into_table_a Procedure.